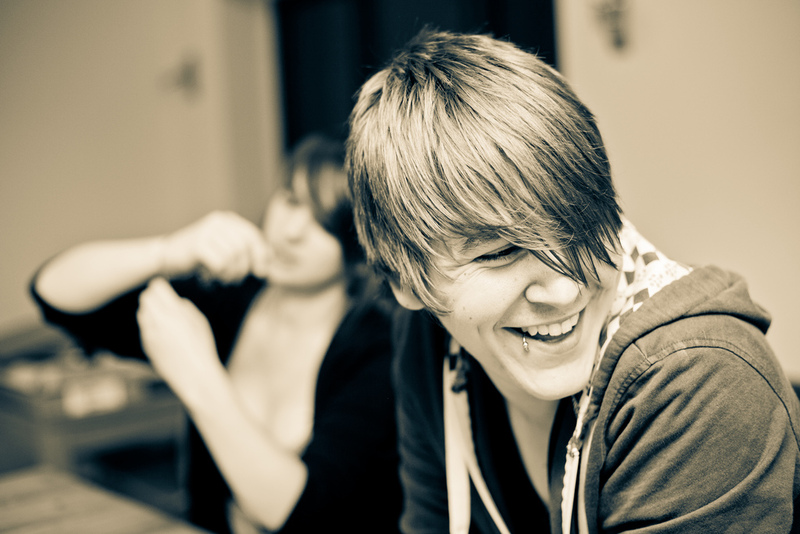 Should I secretly spy on my teen with a child tracking app? Reader Q+A: Should I secretly spy on my teen using a child tracking app? 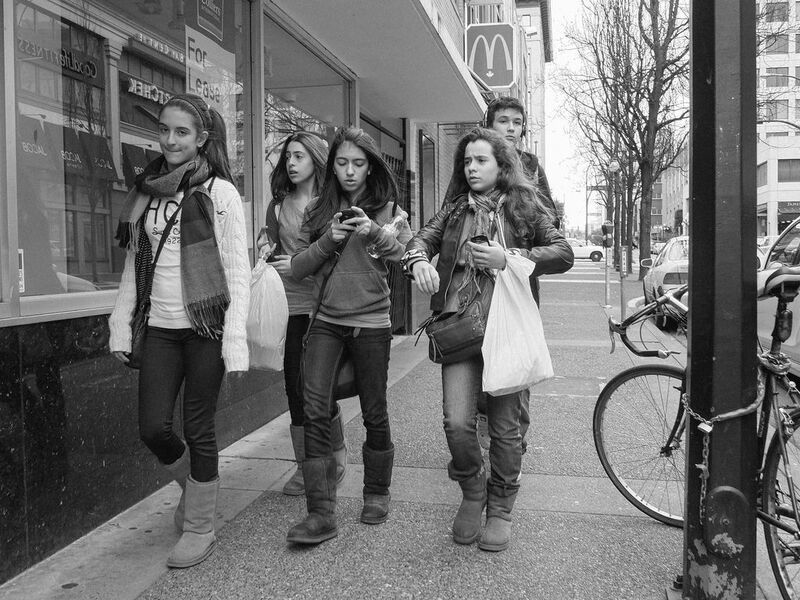 Should you secretly keep track of your teen with an app? I’m still holding onto my kids being young enough to know where they are at all times, but before I know it, they’ll want to roam free and I’ll be in your position. Eek. 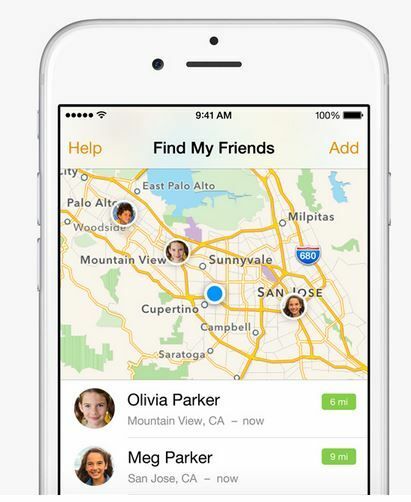 I’m all for ensuring kids are safe and keeping an eye on their whereabouts. But I’ve talked to our editors, and as a rule, the point of view here has always been that when you keep an eye on your kids, do it in a full disclosure kind of way, or you risk losing trust right back. And that can be really hard to regain if not impossible. Let him know what you’re doing and why, and how really, it’s the same as meeting a new friend’s parents before he spends the night, or checking his report card; it’s not a punishment. Think of it more like tech training wheels–the more he demonstrates responsibility and respect for boundaries, the more trust he earns in return. And explain that he’s still entitled to plenty privacy of course. It’s not like you’re actually going with him on dates. We know that it can be incredibly uncomfortable to have discussions like these, but this is a brave new world in terms of tech and teens and with the new freedoms they get come new parental rules. You’re a pioneer in this sense, even asking the question so kudos to you. Just remember in the end, the right to gain new levels of responsibility is all in your own teen’s hands. That’s the real freedom. In pulling together options for you, I found that there are actually very few child tracking app options for iOS that can be used without the consent of the person you want to track. mSpy and Copy9 both offer apps for iPhone that are undetectable once installed, but you still have to download the app onto your child’s device without him knowing, and that’s a task in and of itself. Plus there are some restrictions, like the phone needs to be on iOS 7.1 or earlier (not the recent iOS 8.1 upgrade) and they must be jailbroken. The options open up quite a bit when you do have consent from your child. I know that transparency may alter the behavior that you’re trying to identify, but hey, that actually means its doing its job without doing its job. If you want to explore having more of a family network and adding in other features like group chat and family check-ins, your cell phone provider probably offers a carrier service that’s worth looking into. AT&T FamilyMap, Sprint Guardian, T-Mobile Family Where and Verizon Family Locator each offer GPS tracking functionality, as well as things like alerts when they leave a designated area and arrival/departure notices. Most of them, however, require an additional service plan, which is too bad considering how much we already pay on a monthly basis. We recently covered the many benefits of the new iOS 8 Family Sharing feature, one of which is having GPS location information for everyone in your circle. You mentioned your son has an iPhone, and if you and your wife do too (or at least whomever wants to do the tracking), you can all keep tabs on each other with your new iOS platform. Plus, it’s free and you get all the other fun bonuses of family sharing like swapping content, app purchases and accessing each other’s calendars. 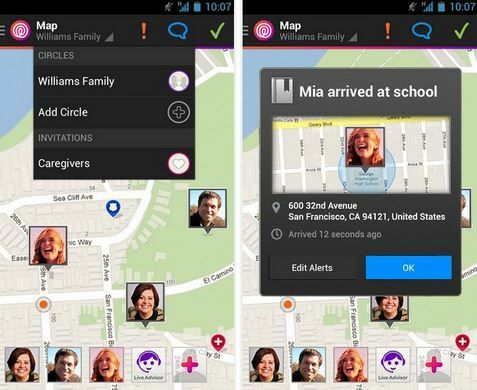 Another free GPS tracking app is the Life360 app. 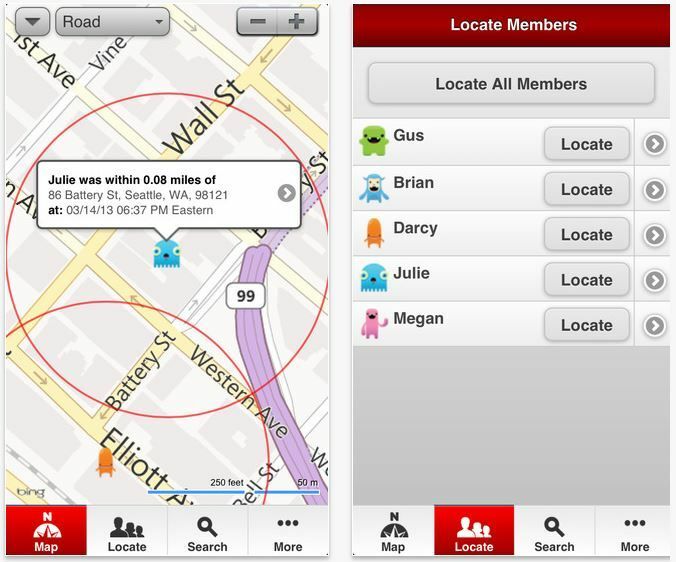 Not only does it offer free GPS tracking for those you include in your circle, it also provides communication tools for family members like group texting and check-ins. Family members can make sure that each has gotten to where they are supposed to be, and also communicate to the group that they have arrived safely. 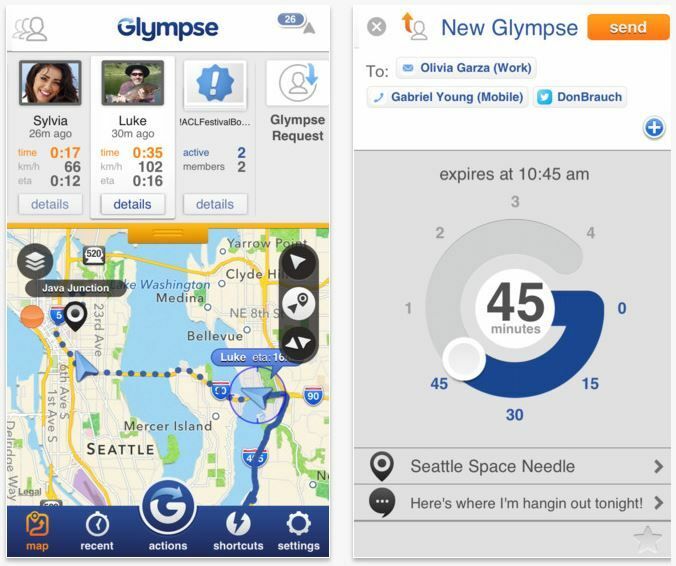 The Glympse app takes on much more of a social vibe, which makes it seem much more of a sharing app than a we’re tracking your every move app. You can identify your location and send a Glympse to any recipient of your choosing, letting them know where you are. It’s also great for future planning, like if you’re running late and want to give your family an ETA as to when you’ll be arriving. They’ll be able to see your movements too. And what’s great is that since it’s a such popular app, there’s a good chance your son’s friends are using it too, making the case to install it much easier. Actually, there are all kinds of exceptions written into most legal tracking issues, so if you are a parent then legally you don’t have to have your child’s permission until they are of age (at 18). I agree that it probably isn’t going to gain you any points and probably isn’t the best way to handle things, but you won’t be breaking any rules or laws or anything by sneakily tracking your kid unless the TOS specifically states otherwise for the app; which I highly doubt. I think it is not good to spy secretly on kids. I understand that parents worry about everything which is connected to their kids, but there should be some boundaries. Trust and respect are the fundaments of communication and relations in the family.